Murphy; O’Brien, Kenna, Browne, Bermingham; Russell, Chambers (Bolger, 73 mins. ), Carroll; O’Connor (Forrester, 77 mins. ), Fagan (Faherty, 67 mins. ), J. Kelly. Doherty; Madden, Greacen (McBride 33 mins. ), S. McEleney, B. McNamee; Brolly (Duffy, 65 mins. ), Molloy, Higgins, P. McEleney; Murphy, Farren (Curran, 77 mins.). 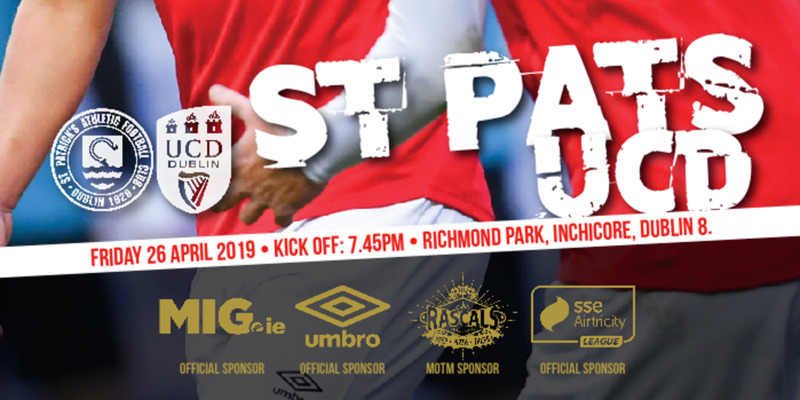 Terrific second half goals from Sean O'Connor, Jake Kelly and Vinny Faherty gave St. Patrick's a convincing 3-0 win as they blew a tired looking Derry away in the second half at Richmond Park. The victory edges Liam Buckley's side back up to third place in the table ahead of Shamrock Rovers on goal difference. Following an open first half, St. Patrick's got their deserved lead goal 12 minutes into the second. Left-back Ian Bermingham began the move breaking from defence. He fed James Chambers who put the ball wide left to Christy Fagan whose low cross was swept home by O'Connor. St. Patrick's sealed their win on 86 minutes. Substitute Chris Forrester broke on the right to put over the perfect pacey, low cross to the back post for the in-rushing Kelly to blast to the net. Faherty then added a stunning third with a dipping volley two minutes into stoppage time to register his first goal since returning to the club. In a blistering opening to the game, both sides might have scored twice each inside the opening 12 minutes. 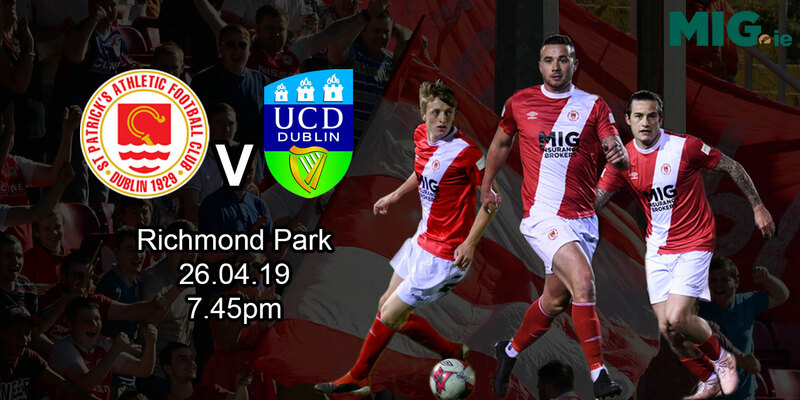 Derry weren't lacking in Confidence after Friday's 2-0 win at Shelbourne with Paddy McEleney promptly working Barry Murphy from distance before then looping a header from Simon Madden's excellent cross onto the St. Patrick's keeper's crossbar. At the other end, Fagan failed to get the decisive touch to Kelly's inviting low cross. Fierce shots from John Russell and Sean O'Connor in quick succession then forced Ger Doherty into solid parry saves. Doherty remained the busier of the keepers and was well positioned again on 32 minutes when O'Connor got power into a low drive from outside the area. 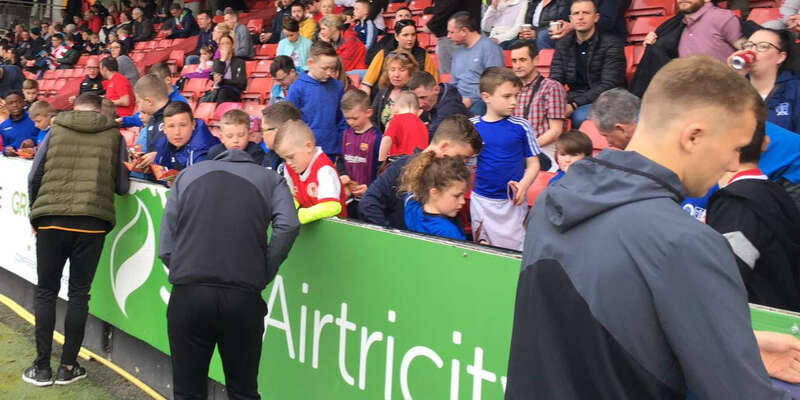 After a lull following an injury to Derry defender Stewart Greacen, the sides ended the first half as they'd begun, with goalscoring chances at either end in time added on. Derry winger Paddy McEleney set up Marc Brolly who rifled a shot inches over the top. Fagan was then put through on goal by Russell at the Inchicore end only to pull his shot wide of Doherty's right-hand post.